Ken (Yilun) Ying fully deserves the title of “Big Shot”. What is the so-called “Big Shot”? Sound like a sort of ganghood, but in fact, it has nothing to do with the sphere of influence, the headcount of subordinates or the frequency of hogging the limelight, but instead has much to do with an extensive and preferably unfathomable social network, and even has more to do with knowing one’s own mind, being charismatic, and giving the multitude directions that can even be elevated to the theoretical level. Ken is so quick-witted and talks really fast that any inclusive & exclusive interviews can end up as his one-man show. He always talks eloquently, as if eager to touch upon everything concerned throughout the five thousand years of the Chinese nation, but never strays from the topic, and focuses on his PATEO and his businesses all the time, giving the impression that this company’s business scope is all-inclusive and all-embracing. He tends to deliver the concepts, ideas, scripts and products by enumeration. After a while, some audiences will find their brains simply turning into an awning beaten by the rain, just hearing the voice, but no longer able to absorb anything – as they have felt overwhelmed by information overloading. Ken admitted that during the turbulent period 2015-2016, PATEO retreated from the trade of vehicle building, and returned to connected car technology. Different from other bosses who would be ashamed to mention such a strategic adjustment, Ken spoke of this at meetings of all sizes, crazing nothing short of worldwide awareness; not only that, he even shared what he had in mind at that time, what he is thinking now, as well as his experience & observations about the major changes in the automotive industry back in 2015. In a word: clear-sighted! In spite of the time and energy spent listening to him talking round and round, after meeting, one will still feel brainwashed by this guy, yet couldn’t help considering him freaking awesome. If a person can be deemed a hero merely on the basis of the success or failure of their endeavors, Ken is definitely in a position to ramble on and give instructions to the junior, given that presently PATEO’s business is thriving and flourishing, as it has managed to involve almost every partner possible in its business, ranging from OEM, Tier 1 to IT / chip / home appliances companies and OTA enterprises. One might have the feeling that while undertaking the numerous businesses and projects, PATEO has been acting as an adhesive and lubricant, or maybe the chain itself, to get the upstream and downstream in the telematics industry chain connected, and enable the whole industry chain to gradually realize that this company has occupied an increasingly obvious ecological niche as a non-competitive partner who can bring value, so that it’s not only free from fretting over survival, but will also rapidly rise. In terms of the OEMs, extensive cooperation on telematics with JLR, Dongfeng, Bentley, Hongqi and BAIC BJEV, etc. is underway, and it’s worth mentioning that all these collaborations differ in type, product and requirement. Resourceful as Ken is, PATEO has no specific product line, but makes mass-produced products around every aspect of automotive digitalization; shows little interest in pure concepts, but is rather pragmatic. Ken insists that connected car should be defined neither too early nor in a narrow sense, because PATEO is still exploring the boundary of connected car business, and expanding the extension of the connected car concept every time it launches a new product or enters into a new partnership. It’s not hard to imagine that Ken seemingly wants to be a kind of “godfather”. He’s now indifferent to the overt fierce and hostile product competition, but only stresses “empowering” the OEMs, which is in alignment with the concept upheld by most other newly emerging connected car companies, whereas PATEO has the vastest range of product & service offerings. Since last year, PATEO and its multitudinous partners have been carrying out a dazzling array of collaborative projects: cooperation with UAES on automotive infrastructure control; with Huawei on 4G & 5G network; with NXP Semiconductors on chips for secure in-vehicle payment; with Umetrip, Ctrip and Suning on consumption-related information; and also with Baidu DuerOS & Baidu Cloud in an in-depth manner. That PATEO changed its business model from hardware + software to software-focused + hardware-driven stemmed from Ken’s realization that the pattern followed by the industry had been undergoing a transition; and it was just the active transformation of the OEMs that has led PATEO to take OEM empowerment as its new direction, because as a tech or connected car company, PATEO is optimistic about the transformation of the auto giants. In Ken’s point of view, these giants will need as short as two years to make vehicles intelligent, if they wish to do so; Tier 1 suppliers like Bosch and Continental can even build a complete vehicle in minutes. But why haven’t they done this? Because they are not to compete with the clients. 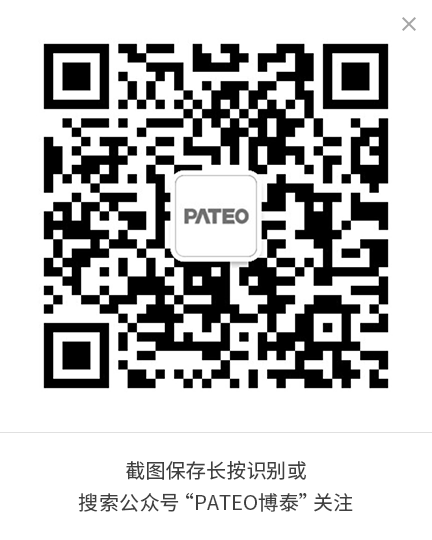 As the saying goes, “Do others a favor in a current tangle; make oneself a waiver of a future trouble.” Instead of acting slickly in the complicated market and cutthroat competition, PATEO believes that playing the role of OEMs’ intelligent connectivity supplier aligns with its strategy for value maximization. This is the so-called “Value Sharing” idea of Ken, which sounds conceptual, but is supposed to strongly advocate practice. He keeps talking with all the OEMs about integration and sharing instead of disruption, as PATEO is trying to present itself as a trustworthy teammate, rather than a potential opponent eyeing them covetously and menacingly. 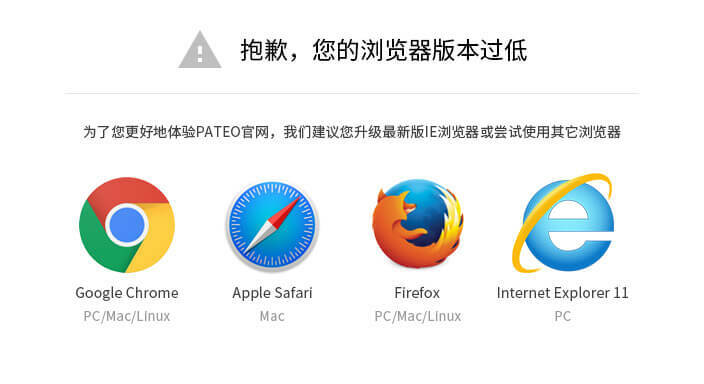 PATEO has, on the one hand, joined Baidu Apollo Project to leverage this open source platform for autonomous driving, and on the other hand, been focusing on uploading the data collected by the vehicle terminal, communication telematics service system (including in-vehicle infotainment, its previous old line of business) as well as in-car electronic telematics products, to achieve rapid mass production, quick installation and fast iteration, and also to equip the complete vehicles with the latest achievements in the internet, the domain that is growing at an astonishing speed. PATEO’s repertoire of skills as mentioned above is seemingly simple, but actually need strong execution together with steady, accurate and relentless vision, which are never missing from Ken. He’s so ambitious that PATEO has not only worked with insurance companies on new types of IVI related insurance, with consumer enterprises on data transfer and profit sharing, and with map suppliers on embedding maps in the OS, but also gradually built its own technical moat around macro mobility. For businesses that will be copied tomorrow, PATEO always keeps away. As a potential big shot, Ken is obliged to not only point out where the long-term interests lie, but also build PATEO into an enterprise that industry leaders cannot do without. No disruption, but focusing on empowerment, “keeping a low profile and making big bucks” – it couldn’t be better.